Check out this interesting blog that I stumbled across (well, not so much "stumbled" as "clicked the link when he signed up as a follower"): Sir Richard's Took Kit: A Blog About Hand Tools. It's exactly what the title says it is, giving explanations, descriptions, and instructions for various hand tools as well as extra interesting bits. Learn all about various clamps, vises, saws, knives, brayers, engravers - and the mighty clothespin! 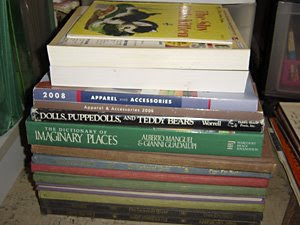 Seems like a very handy reference site for miniaturists. Posted yesterday in the Daily Mail (read the whole article here), the work of Mr. Alec Garrard of Norfolk, England. 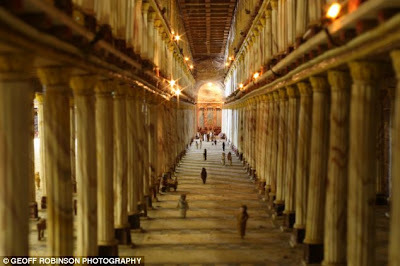 Mr. Garrard has spent the last 30 years working on an amazing miniature recreation of Herod's Temple in Jerusalem. 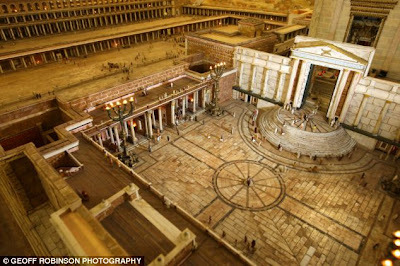 The original temple was built in 19BC by King Herod the Great but was destroyed during the Siege of Jerusalem, just six years later. 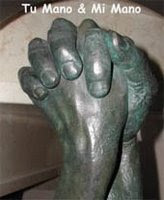 Mr. Garrard spent more than three years researching the temple. His version is so impressive that some of the world's top archaeologists and experts from the British Museum have come to view it. 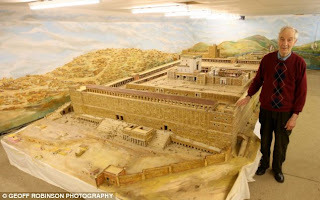 Mr Garrard, 78, has dedicated 33,000 hours to constructing his 1:100-scale model. 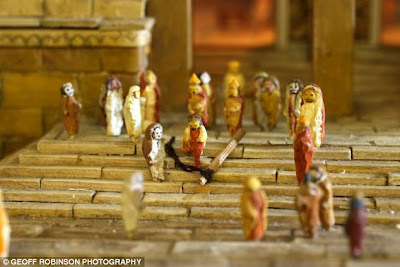 He has hand-baked and painted every clay brick and tile and even sculpted 4,000 tiny human figures to populate the courtyards. The temple measures 20ft by 12ft and is housed in a seperate building in his garden. 'I look upon it as a work of art, there is lots of detail and I want it to look as real as possible,' he said. The Royal Porch of the temple. Well, luckily for the post-holiday late-winter doldrums, there's blog awards to pass around! Thank you to Rosanna at La Stanza di Giuggiola and Casey at Casey's Minis for this one! I passed on the last award to other miniatures sites, so this time I'd like to pass it on to a few non-miniatures blogs that give me inspiration. Check them out!